Sree Vishnu Group is established by a very dynamic and Visionary Entrepreneur Mr. B.M. Dayanidhi, MBA managing director, With his Innovative ideas & Optimistic attitude, he started Granite processing industry called SREE VISHNU INTERNATIONAL in Kuppam, Andhra Pradesh, India. The company Exports process granite to several countries like Ireland, Denmark, Germany etc., in the name of Sree Vishnu International. The company is specialized in custom designed, hand made, sculpted & crafted, range of granite products. 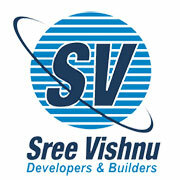 A Premier organization in the field of residential layouts, “Sree Vishnu” is a full spectrum company touches on its value chain all the sectors in residential including constructions, our strategic understanding of the evolving mindscape of today’s have see ken is what is turns our residential properties into the best investment opportunities in sree Vishnu developers & builders. Sree Vishnu developers & builders offers you the choicest of property options, for both residential as well as investment purpose. We also provide management services need your investment in our residential projects SVDB welcomes you to experience based on trust & integrity with a commitment to work towards a long time. "Sree Vishnu residential layouts" a dream destination for those who fond of comfort & tranquility and wish to explore the multiple riches, it’s a novel & integrated residential layout with nature’s panoramic view for families seeking better life style. Every project is well planned and selected to ensure high appreciation for our customers. We always take care of all the minute aspects that we would consider, if we would be residing in that plave ourselves. Our dedication and involvement in all our projects results in the end product that satisfies our customers beyond their expectations.Sree Vishnu group is professionally Managed Organization with experience and expertise to offer complete customer satisfaction.